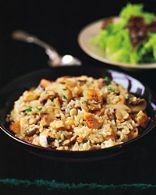 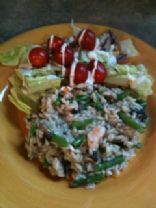 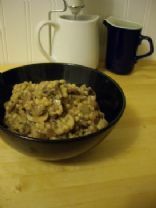 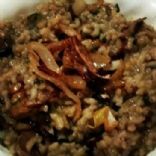 Mushroom and Leek Brown Rice "Risotto"
Much-much easier way of cooking risotto. 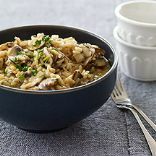 You cook only mushrooms, put risotto in oven and it is ready in less than half an hour all by itself! 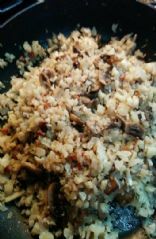 Any mushrooms can be used.